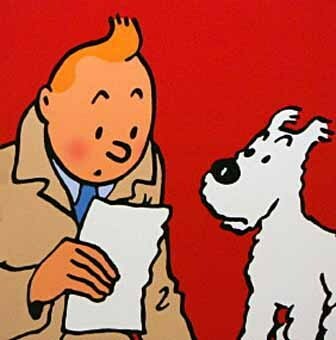 There is more exciting news about the upcoming Tintin movie, based, of course, on the popular Belgian comic book character. The movie started shooting on Monday, and there has been some announcements made about casting. Aint It Cool News is reporting that Jamie Bell has been cast as the title character. Daniel Craig has been cast as a pirate called Red Rackham. Edgar Wright and Joe Cornish are listed as the writers, with additional work being done by Steven Moffat, who is best known for his work on “Doctor Who.” The casting of Andy Serkis and Simon Pegg has already been announced. Oh did I mention Spielberg is directing? I am so excited for this trilogy! With a cast like this the ratings will be through the roof! Plus, it’s supposed to be in 3-D?! That is so cool! I cannot wait! I’m WAY more excited about this, Jamie Bell is a much better choice then the toddler they had cast previously.